Raw Star Thistle honey in a 1 gallon (12 lbs.) container. Fast shipping and the item arrived in good condition. 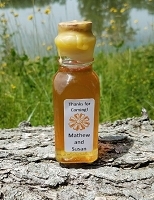 This particular honey is does not seem to be as "sweet" as other types of honey but it has very elegant taste. We add this honey to whole milk to make coffee every morning and we love it! Thank you for this great item! The price is very decent. Bought the 1 gallon to make some mead. Honey was great and made a fine mead, tasted after only three months and already tastes great! We have ordered and received 1 Gallon Raw Star Thistle honey twice previously with satisfaction. However, recently we received our third order of 1 Gallon Raw Star Thistle honey that is a much thinner, brown color liquid with different taste. We are NOT happy about it. 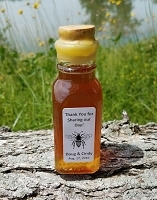 eBeeHoney Response: Ian - unfortunately we did not have crystallized star thistle honey when you ordered. Please note we do state if the honey is liquid or crystallized and sometimes we have both. To speed the process of crystallization simply place the honey someplace cold like your refrigerator. 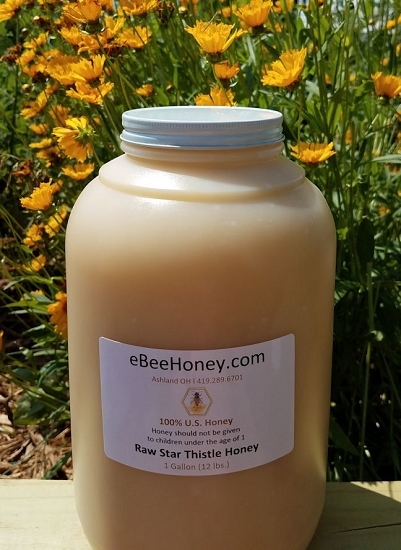 Ebeehoneys star thistle honey is one of my top favorite raw honey variety s available.I have never tried this variety before.Wow! This honey is so delicious .It has a very unique flavor,unlike any other honey that I have tried before.I highly recommend you try this honey variety. we started with the 5 lb & now the 12 lb star thistle honey....that alone should be a pleasant review. we liove it. our neighbor enjoys it as well. shared with him last time & though he never asked for more he sure was delighted when I brought him another bottle of it. thank you for a bee-autifilly sweet & yummy product?????? Simply the best. Even thogh I came from an upstate NY farm and while I thought I had tried just about every honey known to man --I've never had Star Thistle honey until I tried eBee's. OMG! This stuff is like liquid heaven in a bottle! eBee, You just made another life long customer! Keep up the good work and Thank you. PS --Suggestion: always buy RAW honey! This is a great value and it taste great. Mask-Maker to the Human & Fairy Realms. Raw Star thistle-I have ordered gallons of this beautiful raw honey twice now, & it has become another of my favorites! The flavor is not overpowering but rich, deep, & layered. I LOVE this honey! 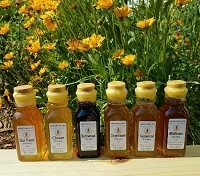 I like to order as many flavors of raw honey as I can, each year, and have a "honey tasting" get-together with friends. -That is one way to really compare honeys, to taste one at a time, to get the special qualities of each precious type of this "nectar of the Gods"! Thank-you, eBee, for offering these special magical foods from the bees, to us. This honey was phenomenal in both taste and aroma. I bought another gallon just one week after buying the first one! We ordered this Starthistle honey to use brewing some Honey Mead. It's still brewing but we're looking forward to tasting the finished product!! !